Pricing Includes :	a one color silk-screened imprint on one or two sides. Unless specified, orders will be set up as a one sided imprint. Imprint Area :	2-7/8" W x 5" H per side. Wrap imprint 8.95" W x 4-1/4" H. Please note wrap will not wrap completely around item. Please refer to imprint area in template. Optional Cap imprint area 1 3/16" diameter. Imprint Colors :	Black, White, Red, Light Blue, Medium Blue, Dark Blue, Light Green, Medium Green, Dark Green, Brown, Purple, Yellow, Teal, Orange, Maroon, Gold, Athletic Gold & Silver. 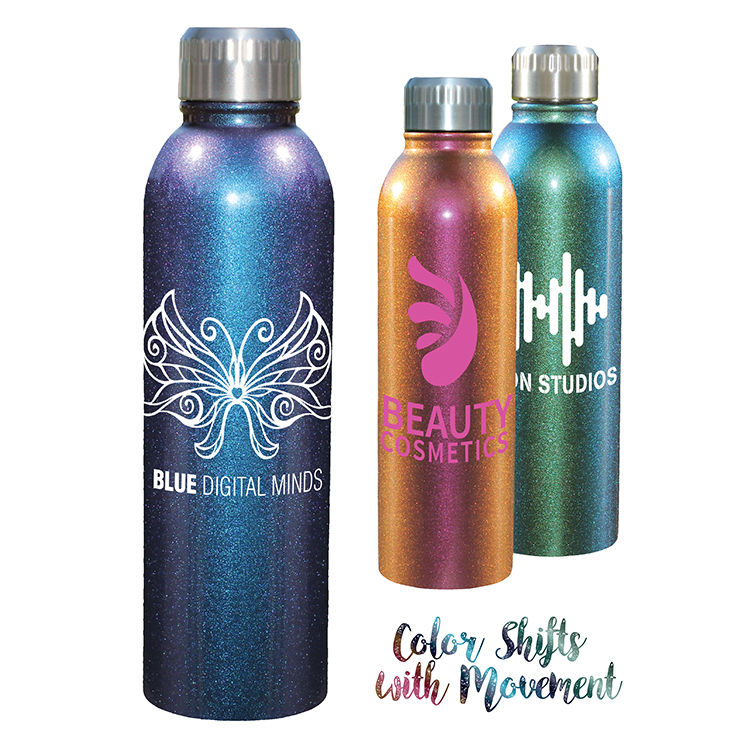 Multi-location Imprint :	Cap imprint available 1 color – 4 color process, add $45.00 (G) set-up, plus $0.30 (G) run charge per item on new orders and reorders. Packaging :	Gift Boxes are available at $0.42 each (G). This includes the item to be inserted into the box. Packaging :	Standard packaging is 25 pcs per box. Must be ordered in full carton quantities.